Business hours: Noon to 1am. Six experienced chefs whip up fusion dishes at neighbourhood restaurant. 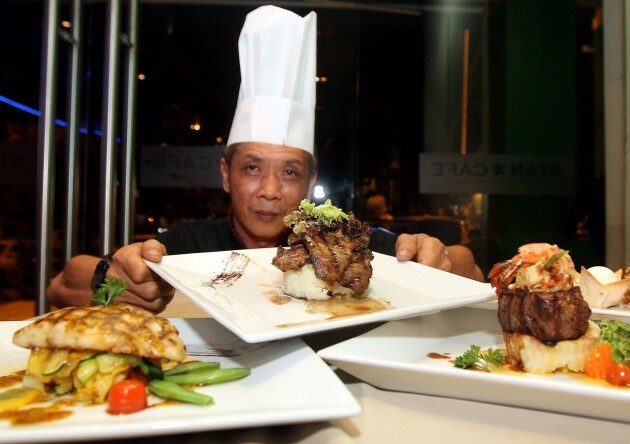 Those who enjoy premium meat prepared by skilled hands might find something to their liking on Star Cafe’s menu. The neighbourhood restaurant, which has been around for the past 18 years in Taman Desa, is popular with guests who enjoy fusion food. Dishes served here are prepared by a team of six experienced cooks who gained experience while working with restaurants like Coliseum, The Ship and WIP. Star Cafe executive chef Patrick Choo showing off some the eatery’s best dishes. Its owner Ben Tan said the current best-selling dish at the restaurant was the Spanish Pork Collar. He said the dish was special due to the supreme quality pork meat used, which was imported from Spain. “We do not need to marinate the meat as it is flavourful due to the diet of the animal. “The animals are bred at a suitable field full of rosemary shrubs and acorn trees. “Their diet contributes to the meat’s natural flavour,” he said. The dish was a sinful indulgence as the pork collar contained a good balance of fat and lean meat. Weight-watchers may find the meal greasy but those who enjoy pork will love it. The Australian Chilled Tenderloin Beef, prepared medium rare, is another offering that sits in well with meat afficionadoes. This dish comes with two de-shelled tiger prawns with brown sauce as gravy for this presentation. Grilled New Zealand Lamb rack. 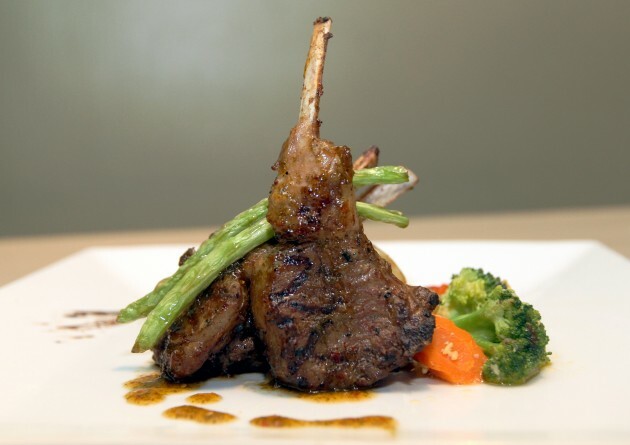 For flavourful lamb, the grilled New Zealand Lamb Rack served with diced potato is not to be missed while the Grilled Spring Chicken cooked with barbecue sauce is another popular item here. 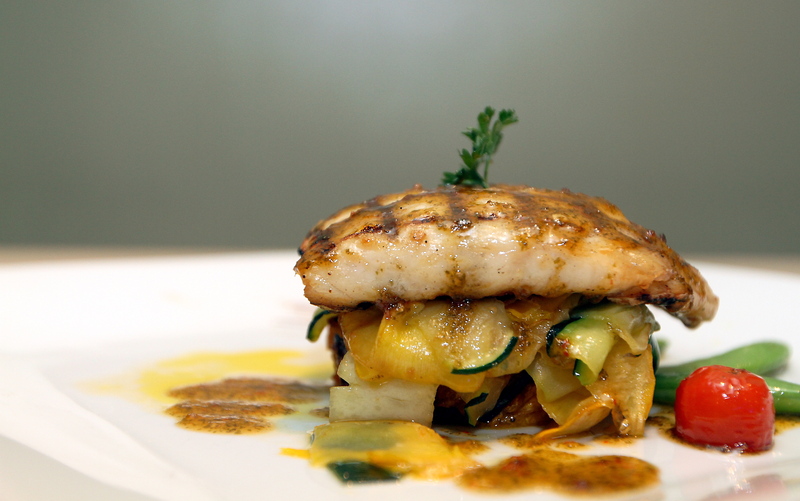 The Grilled Cod Fish (top pic) served with mild chilli-based sauce, pumpkin and zucchini is soft textured fish that simply melts in the mouth. This dish, just like the other meat dishes, are best enjoyed served hot from the pan. The Thai Curry Duck Leg is an aromatic dish and it was not spicy but very likeable with each spoonful. 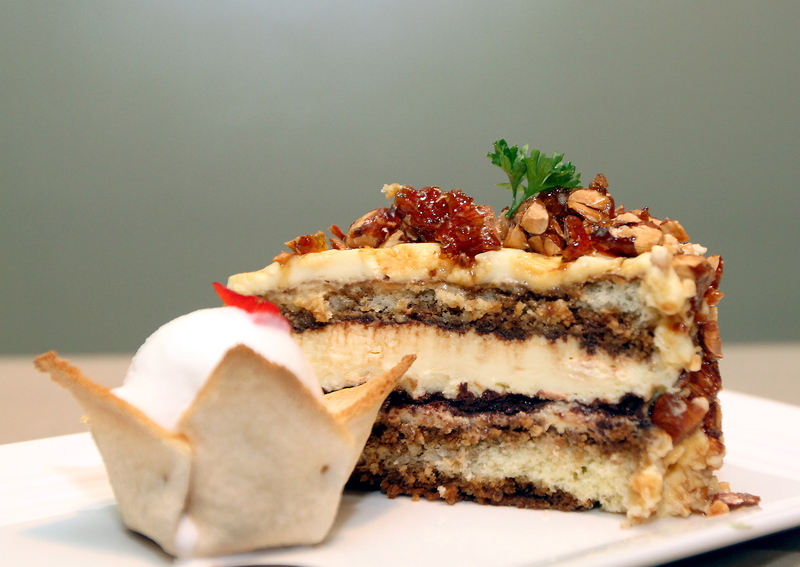 Wrap up your taste palette with Star Cafe’s Tiramisu Cake. The Tiramisu cake has a rich coat of caramelised almond. This cake stands out as it is coated with chunky bites of caramelised nuts such as almond. “Our menu changes every six months and it is tailored based on customers’ feedback,” said Tan adding that there was also live band performances here, daily.